Renovating your resort has been a rollercoaster of successes and glitches. The accommodation rooms, the restaurant, the lobby, and the recreational areas have all been finished, leaving only the bookable venue areas unfinished. The new paint, windows, and carpet match the luxurious feel of the resort and last week the matching sets of tables, chairs, and catering service equipment arrived. Yesterday you were informed that the imported indoor and outdoor dance floors that you ordered for each event space would be delayed another month. Now you’re in a jam. Projecting that the event space would be open, you have bookings for two weddings in the weeks before the new dance floor arrival date. Don’t panic, Outwest Party Hire is your reliable source for dance floor hire in Sydney. 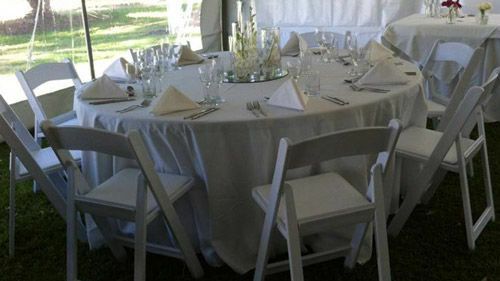 Over the last 20 years, we’ve delivered indoor and outdoor dance floor rentals throughout Sydney and surrounding areas. There’s no need to stress out the brides. We are your single source for party and event equipment offering affordable rental options for chairs, tables, heaters, marques, stages, and of course, the best dance floor rental for any special occasion. Our wide range of styles for dance floor rental available in Sydney ensures that you’ll always be able to select equipment that matches the tone and feel of your events. We are the premier option for event venues when they need additional support for parties that exceed their typical equipment storage capacities. For example, locations may not have the storage necessary to house and protect a permanent outdoor dance floor. Rentals allow locales to book a wider variety of event increasing their popularity and profitability. When you partner with Outwest Party Hire, you’ll never worry about a limited inventory of equipment again. All rentals are top quality, and our staff is professional, friendly, helpful, and punctual. Select the perfect size and style of dance floor hire from our online inventory list, or call us to help you discern the specific space constraints of the venue requiring outdoor dance floor hire. While a beautiful outdoor wedding in your gardens will be delightful, no one wants to be stuck in the hot sun all day. In conjunction with your outdoor dance floor rental, consider adding a peg and hole or free-standing marquee to your order. These structures provide needed shade for guests and will increase the overall satisfaction of your client and their guests. These structures, much like outdoor dance floors, take up valuable space if not left in place. Instead, rent from Outwest Party Hire. This way, you know you’re getting quality shelter that’s installed by seasoned professionals. Get the dance floor rental you need until your custom floors arrive and start a partnership with the most experienced and reputable party supply hire company in the region. Your problems are solved with Outwest Party Hire.